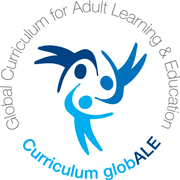 Interested in using the Curriculum globALE? Would you like to use the curriculum globALE document as a resource for developing your own train-the-trainer programme? You are very welcome to do this. The CG team will be happy to provide you with further information and advice. Would you like to use the CG label and the CG logo for your train-the-trainer programme? The use of the CG label and logo in train-the-trainer programmes requires that the programme complies with the standards defined by CG and is subject to permission from the CG Team. Permission will be granted by the CG team upon successful evaluation of relevant programme materials. details on the trainers, their professional background and qualification. How will you establish the individual learning needs of your participants? How will you assess the learning progress and outcomes of your participants? How will you integrate practical work experience in the training programme? Is there any specific learning/teaching material available which I can/should use in the implementation of a CG train-the-trainer programme? No particular learning/teaching material, textbooks etc. are prescribed for the implementation of the CG. 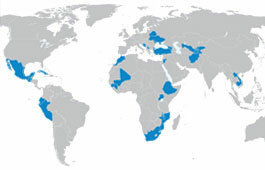 In a later phase the CG website will include a protected space where selected materials in different languages will be shared with CG implementers.